Welcome to the HOPE that a new year brings! I love the idea that a fresh start brings to your life. 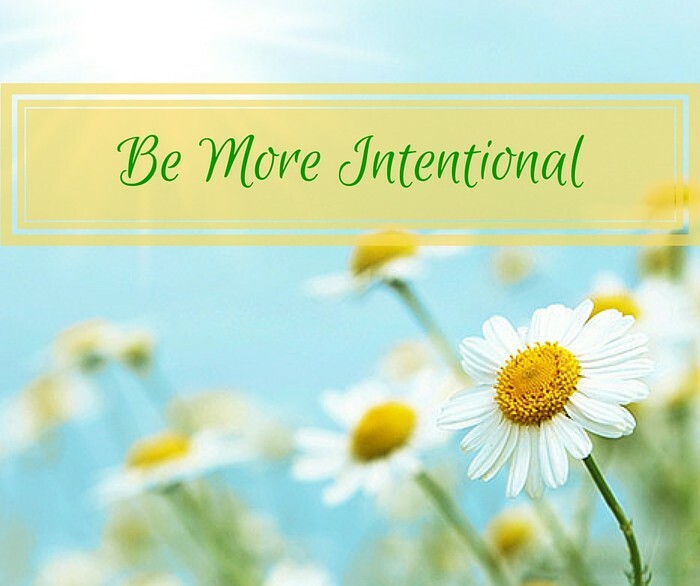 To start anew and be more intentional in how you live your life. Perhaps you are feeling the need for a fresh start, to be more focused on nurturing healthy life habits. New beginnings can sometimes be scary as we step out of our comfort zone, try new things, start a new business, or move forward without a special someone that is no longer with us. I lost my Mom this past year and life without her is an unfamiliar journey. She loved essential oils and experienced great comfort from them during her final years. Frankincense and lavender were her favorite and it was a joy to spend time with her and anoint her with oils. You can only imagine how excited I was to learn about the new emotional blends launched in September at the doTERRA convention. These blends are really something special. 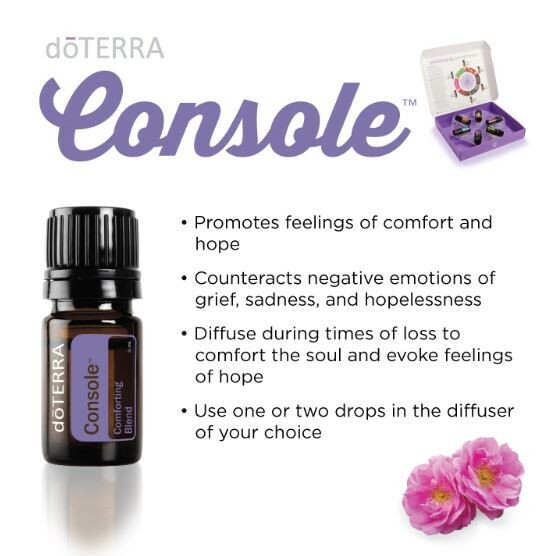 Console has been my favorite and provides great feelings of comfort during periods of grief. Nurture your emotions with essential oil. New beginnings can also be beautiful. They are full of hope and dreams and with prayer, intention, effort and hard work, those hopes and dreams can turn into reality! My favorite new beginning this past year was the birth of our granddaughter Charlotte Kay. She is a blessing in so many ways and came into our family at the perfect time. This little sweetheart has also enjoyed essential oils to help with restful sleep and believe me her mommy and daddy sure appreciate that! 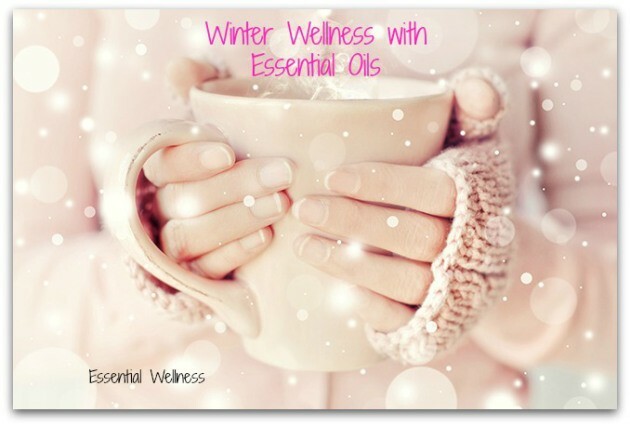 My hope this year is to help you learn how essential oils can benefit you and your family. 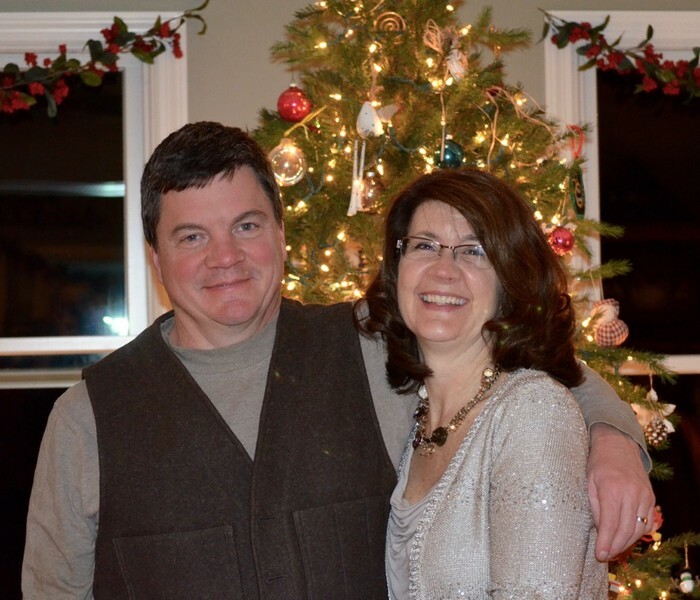 They have been a huge benefit to our family's health and wellness and I want you to experience that benefit as well. 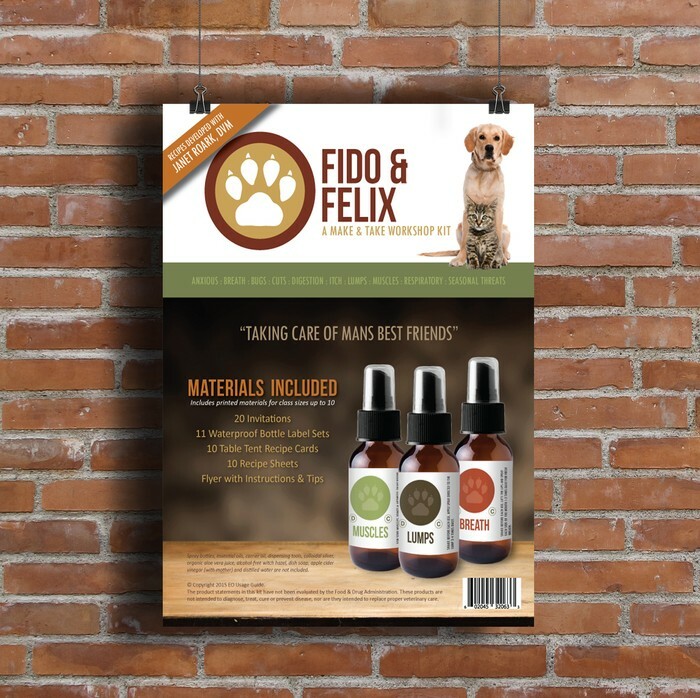 They are simple, safe and effective natural wellness tools you can have at your fingertips. Please scroll through my newsletter for January specials and promotions. There are some fantastic ones that you don't want to miss. So, grab some friends, and let's get together and learn how essential oils can be incorporated into your family's life. I promise you will be glad you did. 200PV on your LRP order by January 15 and you receive this precious essential oil for FREE!!! Plus you will receive the free Product of the Month (POM), Lime essential oil!!! 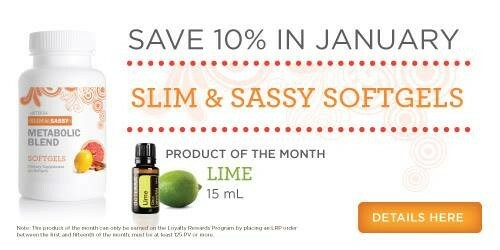 125PV on your LRP order by January 15 and you receive the FREE Product of the Month (POM) Lime essential oil!!! Plus 10% off Slim & Sassy Soft gels in January. Enroll with 100PV after a qualifying event and process your 100PV LRP the following month and receive 100PV free in your LRP points bank!!! Welcome new doTERRA Wellness Advocates! Congratulations and welcome! You have made the decision to support and improve your life using doTERRA Certified Pure Therapeutic Grade essential oils. I am thankful to have you as part of Teri's jōyful essentials and I am here to help you as you discover natural solutions using essential oils. Whoever introduced you to essential oils will be educating you and mentoring you as you start this journey and embark into the world of essential oils. If for any reason you are unable to reach them with your questions, we are here for you! We have an amazing supportive team that can answer all your questions. Please contact me at anytime and I will make sure you get connected and have your questions answered. Please join our many classes for a fun and informative time learning and sharing stories about doTERRA Essential Oils. 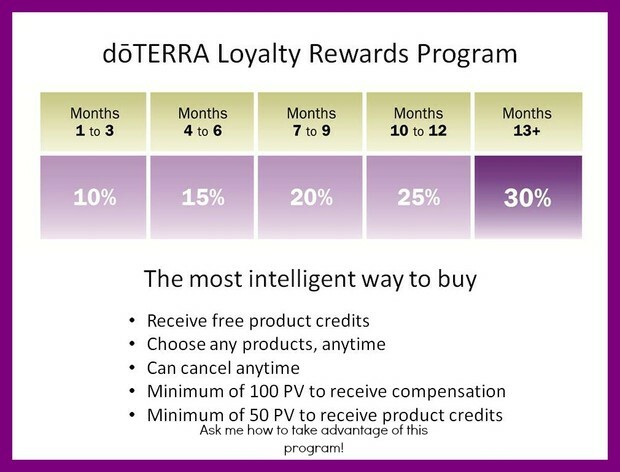 doTERRA's Loyalty Reward Program (LRP) is the best way to purchase your essential oils. You receive 10-30% back in product credits and with a qualifying order of 125PV you are eligible for the FREE product of the month. PLUS, you get your shipping cost back in FREE product credits. Once you have realized the benefits of essential oils and a dōTERRA lifestyle, you will naturally want to share your experience with those around you. Whether it is a loved one, a close friend, or a complete stranger, you will find yourself sharing the gift of dōTERRA wellness any chance you get. Wellness Advocates will have the opportunity (within their first 120 days) to opt into the share program and receive exclusive gifts completely free. Each time you share your dōTERRA experiences and enroll a new individual, you will receive share credits that you can redeem for free product. SHARE doTERRA - EARN FREE PRODUCTS AND GET YOUR OILS FOR FREE! Gather some friends for a fun and informative essential oil class this month. If you are within 120 days of enrolling you can earn lots of FREE products as you share doTERRA with your friends and they join you on a natural wellness journey with essential oils. Don't worry if you are beyond your 120 days, I always offer fantastic door prizes and a great gift for my hostesses. Believe me, your family and friends will thank you for introducing them to essential oils. So check your calendar and let's start this year off by helping you and your friends learn more natural ways to care for your health through essential oils. Come learn the many ways you can incorporate essential oils into your life. Stay healthy ALL year and kick the winter crud!! Boost your immune system to help your body do what it was designed to do....keep you healthy!! Come and learn about doTERRA essential oils in a fun, fast and lively format. 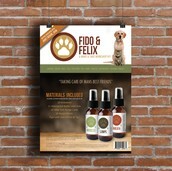 You choose what you want to learn, from cooking with essential oils to essential emotions and even pets love oils too! Change tables when the bell rings and don't forget to grab a treat made with essential oils. Bring a friend or two and have a fun morning out with us! 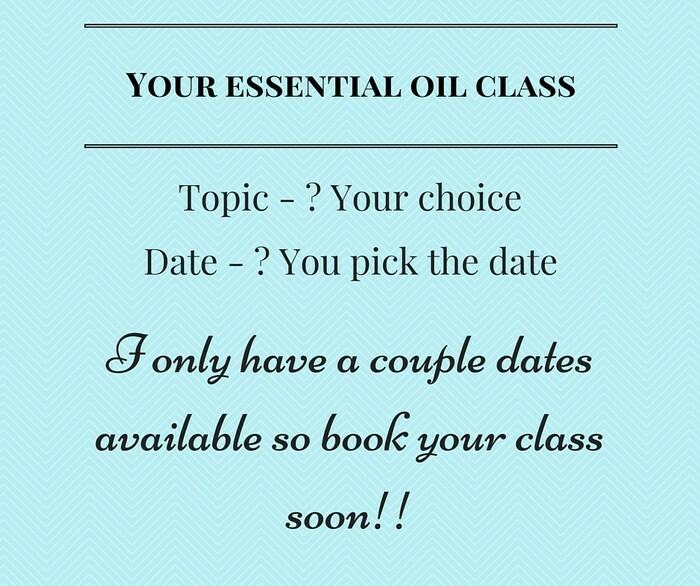 Your essential oil class! - You choose the date! I have a couple dates available and would love to teach an essential oil class for you and your friends. Gather your friends for a fun and informative class about the biggest trend in natural health and wellness with the world's best essential oils! Wondering why you received this newsletter? When you became a member with doTERRA, you also became a member of our wonderful team Teri's jōyful essentials, led by me, Teri Hotz. 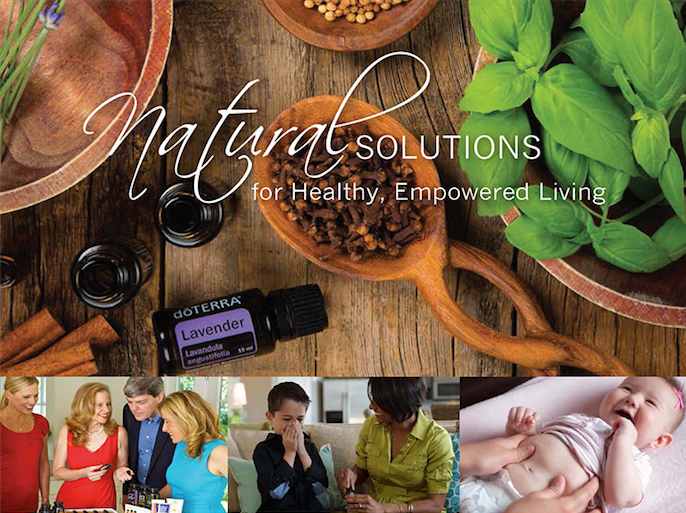 The purpose of my newsletter is to keep you informed and help you connect with all the fun and informative events, classes and specials that are available to you through our amazing team and doTERRA. Whether you want to learn more about the power and benefit of essential oils, connect with others in our great doTERRA community, share doTERRA with your friends and family or take something you love to do and build a business, this is a great place to start. I am so thrilled you are part of our team and I welcome you with open arms. Blessings to you all and I hope to see you at an oil class soon!